(Excerpt from Goodreads) In the aftermath of the All Richland Absolute Fighting Championship, Venture Delving is ready to build a new future for himself. But his enemies have plans to destroy his dreams, his friendships, and his hopes for a life with his master’s daughter, Jade Fieldstone—plans not just to thwart him, but to break him. Venture has come a long way from slums to winning the title of Champion. What could be better? Well, when you win that much power you also received a bunch of enemies. Because Venture is so honest and refuses to fight dirty like his enemies he finds himself in jail. Venture now has to fight to keep his sanity and sense of self while being locked away. Thankfully there is still Jade and Dasher that are trying everything they can to help Venture too. This book is heart breaking. So far we have followed along as Venture has fought to rise about his status, earned the heart of his girlfriend, and even the champion title. But now he is being punished for being such a great, honest guy. It was so hard to read about Ventures time in prison. He is such a tough person but this test is more mental than physical. All I could do is cheer him on and try to keep in mind that he is going to make it out of this hell. This is a great series and one that I strongly recommend everyone read. There is great action, a wonderful story that will draw you in and not let you go, and great characters that will have you crying and cheering with them. 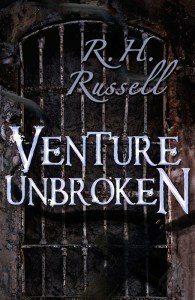 To purchase Venture Unbroken make sure to visit Amazon, Barnes and Noble, Goodreads, and RH Russell’s website. I received Venture Unbroken for free ages ago from the author in exchange for an honest review. I’m sorry for taking so long to get this written. 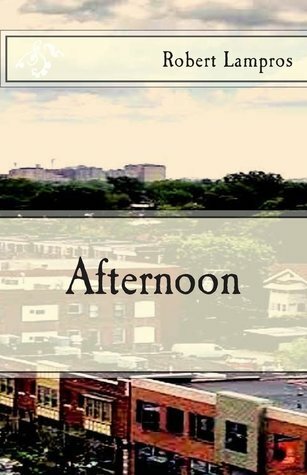 (Excerpt from Goodreads) Afternoon is a novella for young adults about courage, faith in Jesus Christ, and growing up in a surreal and challenging world. Andrew, Drew, has been struggling lately. One day he almost drowns and during this time spends time with God. He learns how he is letting different things affect him and learns that everyone deserves a second chance. He then goes on to change his life for the better. I like the idea of this story. We all deserve a second chance, especially when you see how things have gone off course and can see how to correct them. A lot of people never get to this point in their life and it’s a great message for young adults without being too heavy and preachy. The only negative thing I have for the story is that there is no order to the events. There is no clear step 1, 2, 3, etc. They bounce all over the place and continually trying figure out what is going on and when became bothersome. Over all this is a good story and I think makes a good point for people. It’s one that is definitely worth checking out. To purchase Afternoon make sure to visit Amazon, Barnes and Noble, Goodreads, and Robert Lampros’ website. I received Afternoon for free from the author in exchange for an honest review. (Excerpt from Goodreads) Judi Culbertson returns with a page-turning mystery that answers every frequent flyer’s fear: What happens if I never make it home? Journalist Fiona Reina had every intention of picking up her boyfriend, Lee, from the airport and heading out for a nice dinner together. But when Lee isn’t on the plane, Fiona begins to get nervous. It seems Lee isn’t the only passenger who never arrived. Three other people are also missing. Worse, it seems they were never on the flight. With no help from the airline, it’s up to Fiona and the friends and family of the missing passengers to discover what happened—and, more importantly, to find Lee. But when Fiona receives a mysterious note—It happened in between Denver and Taos—the patchwork team is thrust into a dangerous race against time…a race that could cost them more than who they’ve already lost. Fiona Reina is waiting to pick her boyfriend Lee up at the airport. But he is not on the flight. The airline has no information for Fiona except that he may be on a later flight. But Lee is not on that flight either. Fiona notices other people waiting for others from the same flight. She gets their information then goes on the search for Lee and the missing people. But she cannot find anything that tells her were Lee is through the airline. Then she gets a note that Lee and the others disappeared between Taos and Denver. Fiona and the others go searching for the missing people but someone wants to keep the truth hidden through bribes or death. This is my first story from Judi Culbertson and I have to say that I really liked it. I had no idea what had happened to the passengers and though that it could have been anything from terrorists to aliens. It was great following along with Fiona as she tried to find Lee. I liked how she even had moments of hesitation when someone suggests Lee might have wanted out of their relationship. I do have to say that the ending was a bit abrupt. Suddenly the passengers are found and the pivotal event is glossed over. I reread the end a couple times because I felt like I had missed something. Having said that I still liked the story and would gladly read other books by Judi Culbertson. This is a great mystery that had me guessing until the end. 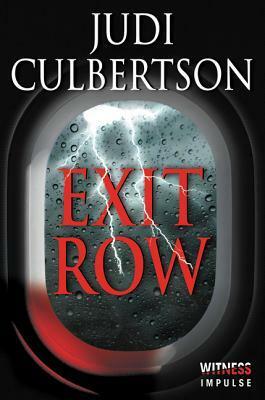 To purchase Exit Row make sure to visit Amazon, Barnes and Noble, and Goodreads. I received Exit Row for free from the publisher in exchange for an honest review. Hayley Barrett began writing in the aftermath of the devastating Christchurch earthquakes of 2010 and 2011 as a way of escaping from the ongoing terror of the natural disaster. She spends a little time each day writing and can often be found at her local library wearing headphones and with a lap top attached to her hands. Hayley lives in Rolleston, ten minutes south of Christchurch, New Zealand, with her husband and three children. When she isn’t driving her kids to their sports practices, games and other after school activities, she enjoys playing squash, relaxing in the sun and reading. Most days she wishes there were more hours available to spend writing. Alexandra, Alex, is the spoiled daughter of a judge. She is falsely accused of a minor crime and sentences to one year in Elder Grey, a harsh prison. Alex has to survive the three week journey to Elder Grey through the New Zealand bush, but can she can’t rely on her guards to keep her safe. Then when she gets to Elder Grey she has to survive those that know that her father sent them to prison. I really liked this world. You do have the usual apocalypse, corrupt government, and people getting in trouble for fighting for the truth. I have to say that although Alex rubbed me the wrong way in the beginning it was because of growing up privileged. Once she got out in the bush and the prison she wised up and really grew. But I especially liked how there were no good and no bad people. Everyone was realistic and walked in the grey zone between the black and white. My only complaint is that the book felt rushed in some spots. There are a couple clues about Alex and her past but they really were not expanded upon. I think if the book was a touch longer it would have made the story feel more complete. Having said that, I really liked Into Darkness. It’s a great young adult dystopian story. I can’t wait to read other books by Hayley Barrett. I received this book for free from Reading Addiction Book Tours in exchange for an honest review. Will released my hand, much to my frustration, and took a plate from the small fridge. When he returned, I was trying to sit up without straining the wounds on my back. He handed me the food and a glass of strawberry milk, and I tucked in immediately. “This is better than anything I’ve had since I arrived,” I said between mouthfuls. I hadn’t realised quite how hungry I was. “Guards’ food.” Will ran a hand through hair that was messy from sleep. On his face was a smile that didn’t reach his eyes, and the muscles in his jaw strained. I wasn’t fooled. I stared at him in disbelief. Marcus hadn’t cared enough to see. But Will, looking very much like it was his back wracked with pain, had asked. Words couldn’t express how much that single request meant to me. I rolled my overalls down my back, showing him my wounds. Will inhaled loudly. I quickly covered myself and turned to him. He was working hard to keep his face neutral, but his shoulders were rigid and his fists clenched. “Will. It’s alright.” I reached out and covered his hand with my own. “I’ve been up, walking around. I went out to the courtyard today.” My voice was bright; I needed him to believe me. “And we know how that ended.” Fury and sympathy battled for dominance on his face. Why was it that I felt like crying when he looked at me like that? I’d been fine with Cassidy and Rich earlier, and with Marcus. They believed me when I said I was doing okay. In fact, Marcus hardly seemed to realise there was anything wrong with me at all.